Nobody in the financial media actually sells all of their stock holdings if the market is down for the month of January, because they know it is complete nonsense. But that doesn’t stop them from trotting it out every year because they know it will generate page views on the internet, or keep TV viewer tuned in through a few more commercials. 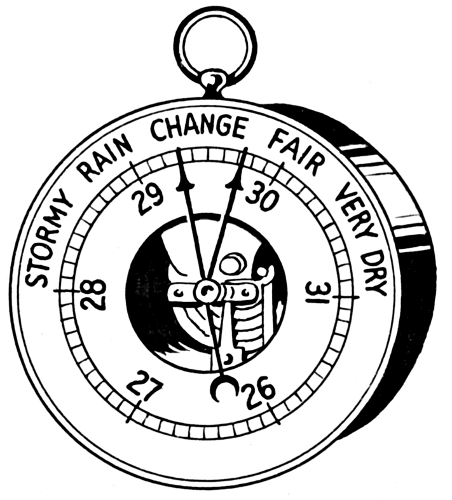 There are numerous articles on the web which expose the January Barometer as nonsense. Two of which I enjoyed for their different approaches were written by CNBC’s Alex Rosenberg and BTIG’s Dan Greenhaus. I have done some light editing and paraphrasing below, but the research and arguments are theirs. Proponents of the January Barometer point to the fact that over the past 35 years, the S&P 500 has followed January’s direction 71 percent of the time. However, this statistic is skewed by the fact that it includes January in that full-year performance. That means that in years like 1987, when the market rose 13 percent in January but finished the year with a rise of only 2 percent, if an investor had followed the January barometer and bought an S&P 500 fund on February 1st, he would have finished the year with a loss of approximately 10 percent. But because January was included, 1987 is still counted as a success for the barometer. If we exclude January and only look at the returns from the subsequent 11 months, the January Barometer still appears to predict the S&P’s path 66 percent of the time. The problem is that it is much better at “predicting” winning years than losing ones. Going back to 1979, the S&P rose in 23 out of 35 Januarys. Over the next 11 months, the market rose in 19 of those 23 years, so a positive January predicted a positive February-through-December 83 percent of the time. But in the 12 years when the market fell in January, the market only fell in the subsequent eleven months during four of those years. That’s just a 33 percent success rate. The reason that positive Januarys are a great barometer, and negative Januarys a terrible one, is the same reason that the “January barometer” appears to exist in the first place: Stocks rise. It is commonly asserted that January is an important leading indicator for full year performance. In 2008 for instance, January was down by 6.12% and the full year ended up being down 38.5% inclusive of said January. But, a quick look at other months shows the exact same trend. Taken at face value, the belief that January is an important indicator of the twelve month period imparts greater importance on January than any other month and other twelve month periods. However, when doing the same analysis on other months, we learn that: When February is down, the 12 month return inclusive of that February is 2.0%. When February is up, the S&P 500 returns 12.53% When March is down, the 12 month return inclusive of that March is 3.5%. When March is up, the S&P 500 returns 11.46% When April is down, the 12 month return inclusive of that April is -0.23%. When April is up, the S&P 500 returns 12.87% When May is down, the 12 month return inclusive of that May is 4.39%. When May is up, the S&P 500 returns 11.61%. We could go on but you get the point. As goes any month? So goes that twelve month period. So don’t let the the fear mongers scare you into making changes in your Thrift Savings Plan based on their nonsense. After being involved in the stock market in some shape or form for ove 40 years, the one thing that has been proven to be true is to stay long, buying and holding time proven equities. For someone who is just beginning their TSP investment journey , I appreciate what you have done here. The explanations, analysis, detail, and recommendations. It’s informative, well researched, and well presented. Much appreciated. Now my question. Is it ever advantageous to dump money into the G-fund when the S, C, or I fund share prices are relatively high, in anticipation of purchasing them at a later date when their share prices fall?